The most beautiful blue eyes in the world! One tattoo of the number 9, written in elvish located on the lower-right side of his torso. Tattoos of a tiny stick of dynamite, a ray gun, a rubber chicken and a kaiju on his right bicep. He also has scar on his left eyebrow. He's a foodie, so he likes a lot! Sushi, a really good Napoletana pizza and eggs. Eggs on pizza is even better! Elijah says that he's really interested in the film making process and would like to direct one day. He tested those waters when he directed The Apples In Stereo music video "Energy" in 2007. He owns the hero sword "Sting" and the one ring which he keeps safe in a box. 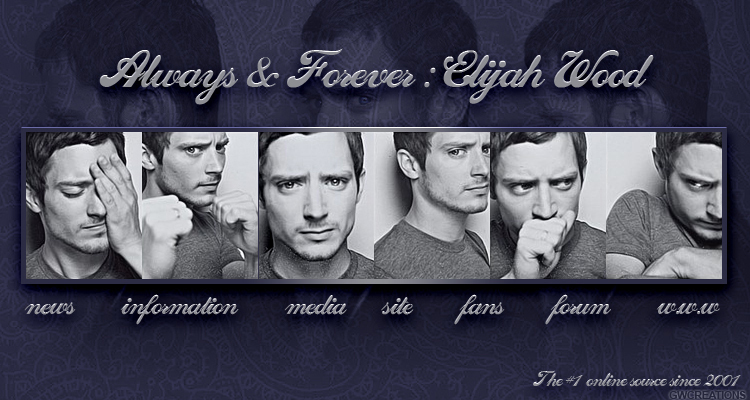 In August 2003 Elijah suffered from a ruptured appendix. To land the role of Frodo Baggins, Elijah rented a hobbit costume, went out into the hills with his friend and shot some scenes from the book. 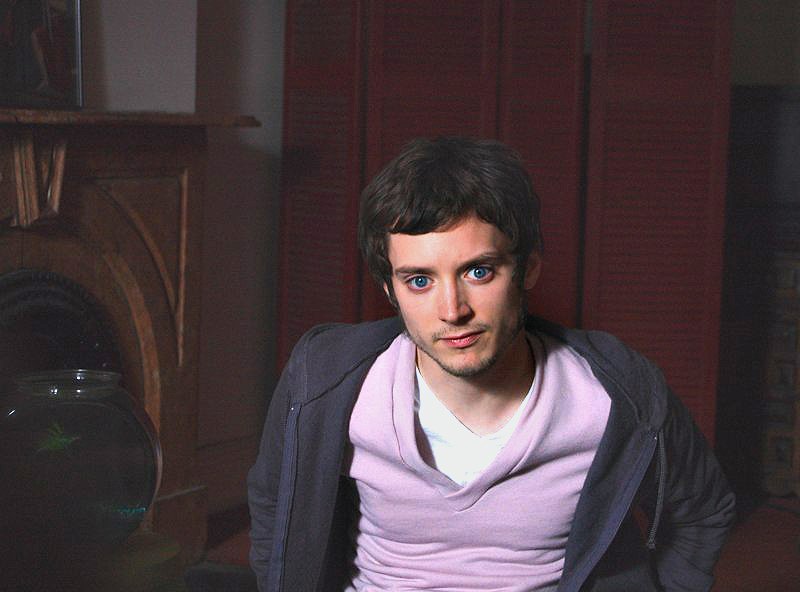 Before he donned the hobbit attire, Elijah auditioned for a part in the film Moulin Rouge. He was told to prepare a song to perform for the director and chose the classic "Embraceable You." 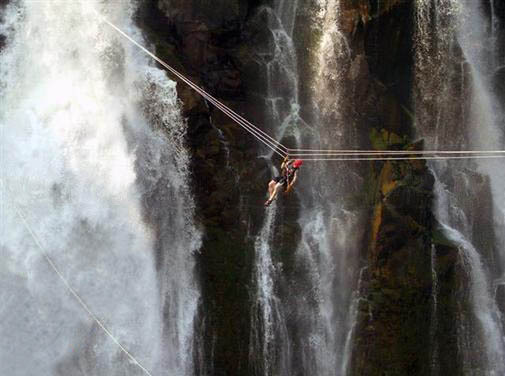 In 2008, Elijah became the first person ever to cross Victoria Falls in Zambia Africa by rope. The falls is considered by many to be among the Seven Natural Wonders of the World, measuring 360 feet (108 meters) high and 5,604 feet (1,708 meters) wide. He achieved this feat on the reality show Adrenaline Junkies hosted by Jack Osborne.